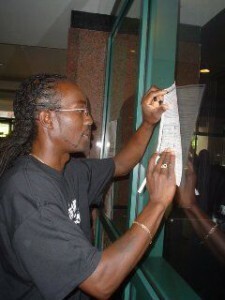 On July 1, 2007, about 52,000 Maryland residents previously barred from the voting booth because of their felony convictions regained their right to vote as the result of the Legislature’s repeal of the provisions of the state’s lifetime ban and instituting an automatic restoration policy upon completion of sentence. The stories of two individuals who regained their voting rights are profiled here. Regaining his voting rights meant a great deal to Marlo Hargrove as both a citizen and a father. Felony disenfranchisement had prevented him from voting on issues that had an impact on his family. “I felt like I wasn’t worthy enough to be supportive of my children since I couldn’t vote about important issues involving their education,” said Hargrove, Director of the Freedom Advocates Celebrating Ex-Offenders (F.A.C.E. 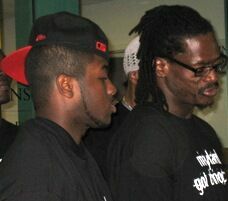 ), a non-profit organization in Baltimore that provides for people who have experienced substance abuse or incarceration. “Maybe if I had been able to voice my opinion at that time, some beneficial laws would have been passed. Hargrove said that Maryland’s policy change allows formerly incarcerated persons to no longer feel like outcasts. “Voting brings about change. It lets others know that our voice and opinion do make a difference,” said Hargrove. His heart was full the day he registered, he said. David Waller, who was formerly incarcerated, looked forward to July 2, 2007, when he and his 18-year-old son handed in their voter registration applications together. “I’d like to set a good example for my children, grandchildren, nieces and nephews to take an active role in voting,” said Waller, pointing out that families can become disconnected from voting when a loved one loses the right to vote due to a felony conviction. Waller had been in and out of the prison system as a young adult, but today, he is a grandfather who understands the importance of giving back to his community and his family.